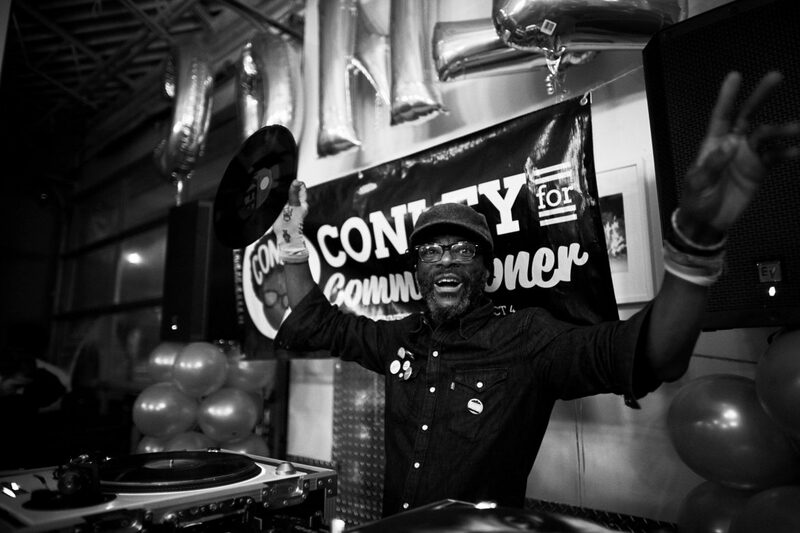 DJ at Angela Conley's watch party. Photo by Anna Rajdl. This piece is part of Twin Cities Daily Planet’s series covering the 2018 elections season. Every year we’re moving towards a possibility of a more diverse legislature. 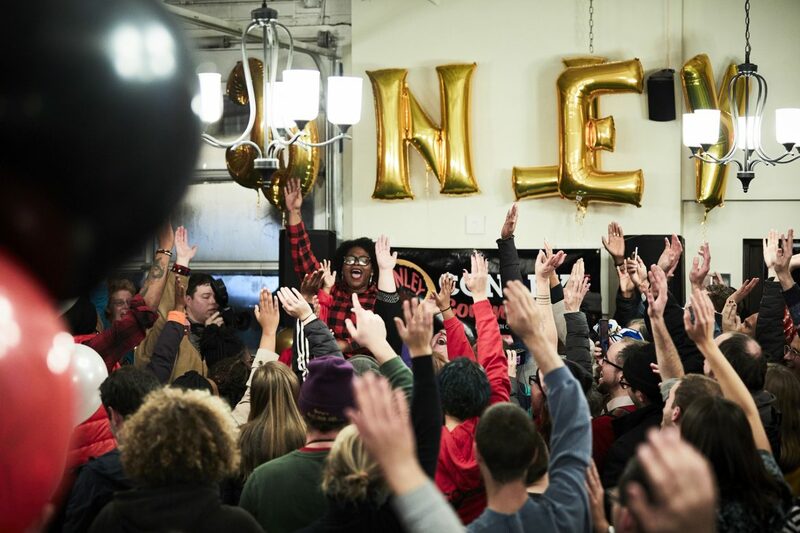 And with it, we hope comes increased opportunities for communities historically shut out of political processes and power to imagine and enact policies to create a Minnesota that benefits all its constituents. 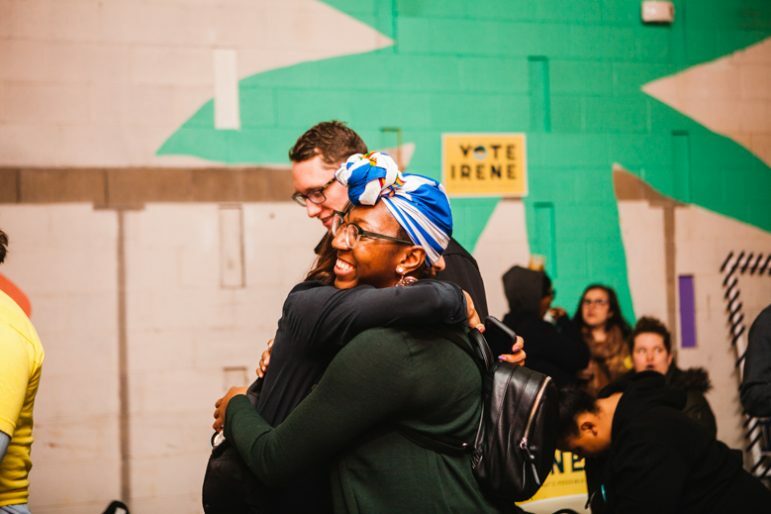 The election-night watch parties of Hennepin County Commissioner-elect Irene Fernando (District 2), held at La Doña Cervecería – photographed by Nancy Musinguzi – and Hennepin County Commissioner-elect Angela Conley (District 4) held at Du Nord Craft Spirits – photographed by Anna Rajdl began in anticipation and ended in celebration. 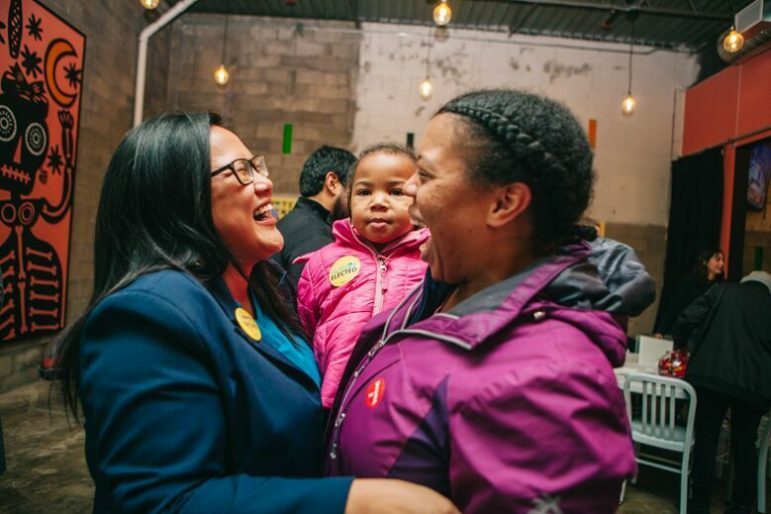 Both women are the first people of color elected to serve on the Board of Hennepin County Commissioners, which has been all white since 1852. Watch this space tomorrow for St. Paul election-night coverage. 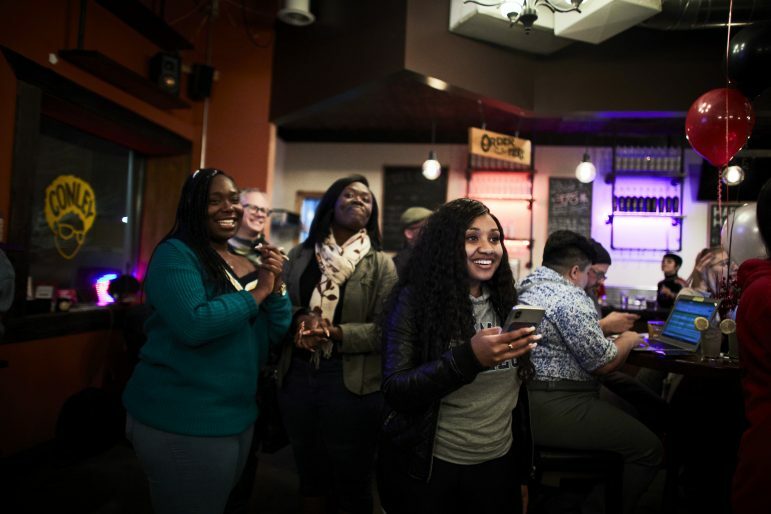 Irene Fernando and supporters gathered at La Doña Cervecería in Minneapolis to watch the returns together. Supporters under a “Vote Irene” poster. Photo by Nancy Musinguzi. 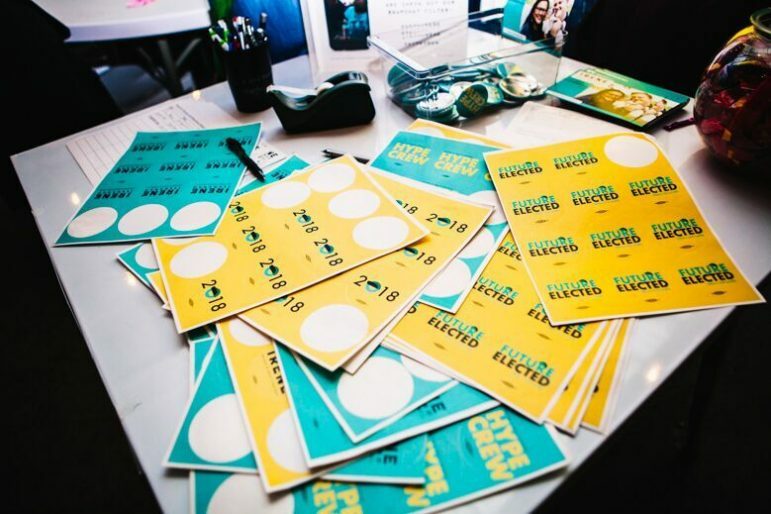 “Hype Crew” and “Future Elected” sticker sheets for attendees. Photo by Nancy Musinguzi. Supporters lifting hands and voices. Photo by Nancy Musinguzi. 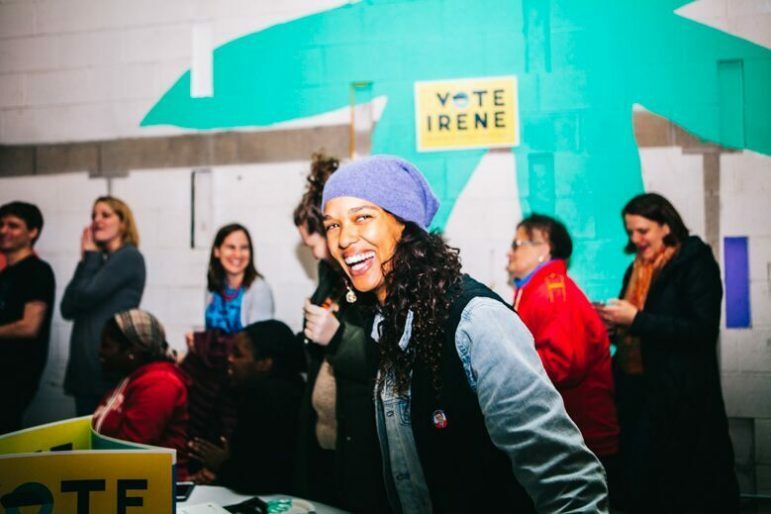 Irene Fernando, supporter and child. Photo by Nancy Musinguzi. Fernando’s supporters cheering the returns. Photo by Nancy Musinguzi. Supporters embracing in celebration. Photo by Nancy Musinguzi. 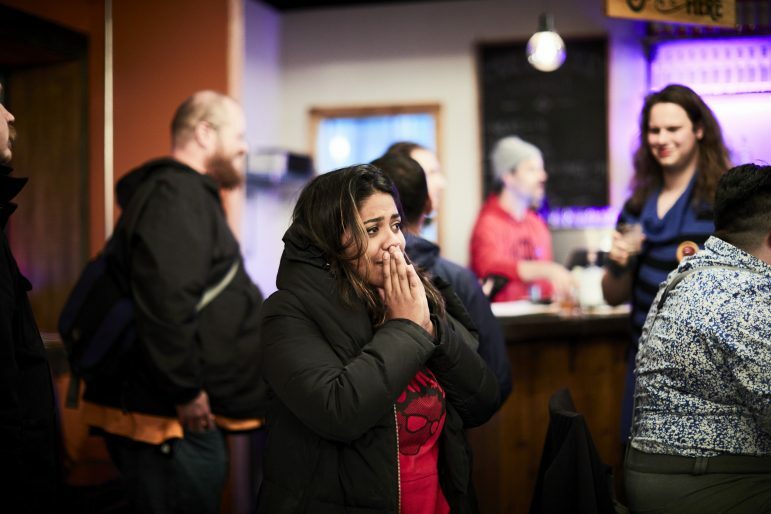 Angela Conley and supporters spent the evening at Du Nord Craft Spirits in Minneapolis to await the election results. 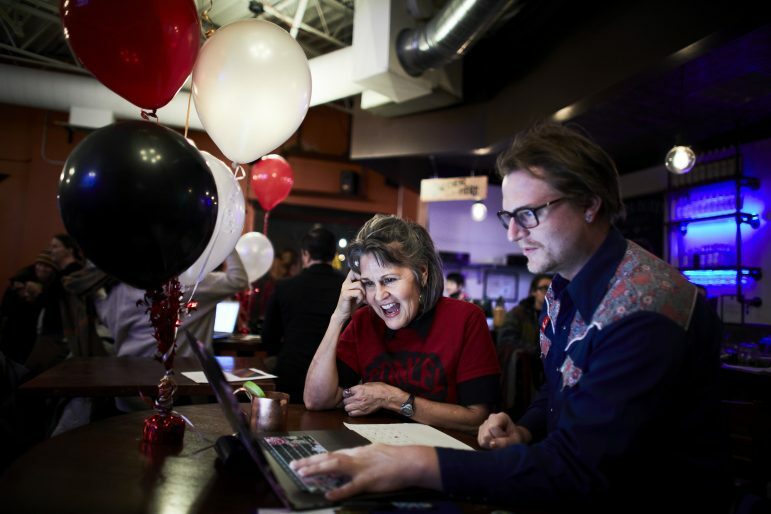 Volunteers closely watched their computers waiting for the results to start trickling in Tuesday evening. Photo by Anna Rajdl. 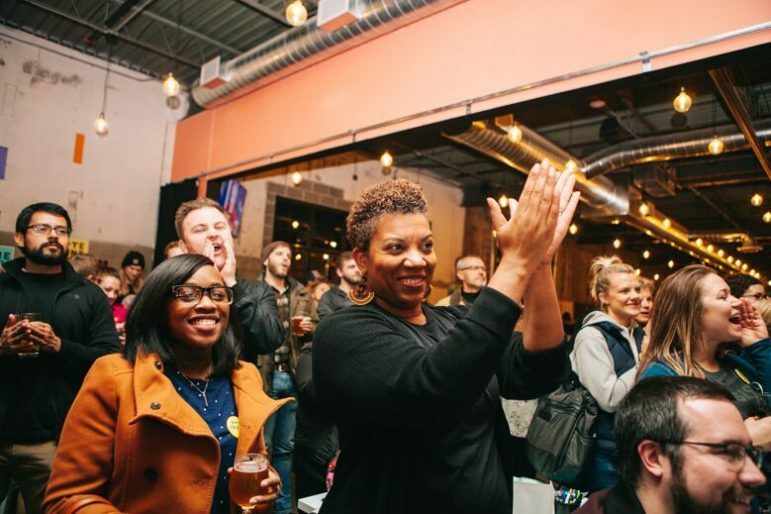 A supporter of Hennepin County Commissioner candidate Angela Conley reacts to whispers of a possible concession from her opponent Peter McLaughlin. Photo by Anna Rajdl. 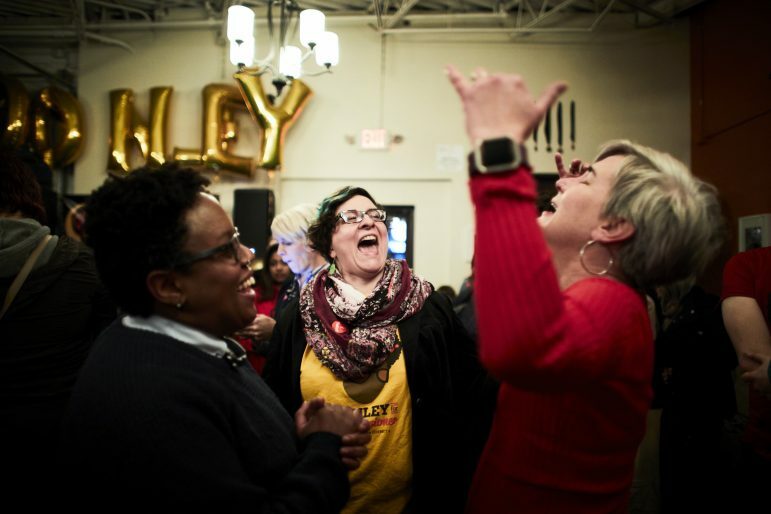 Supporters of Hennepin County Commissioner candidate Angela Conley celebrated after hearing word of concession by Conley’s opponent, Peter McLaughlin. Photo by Anna Rajdl. 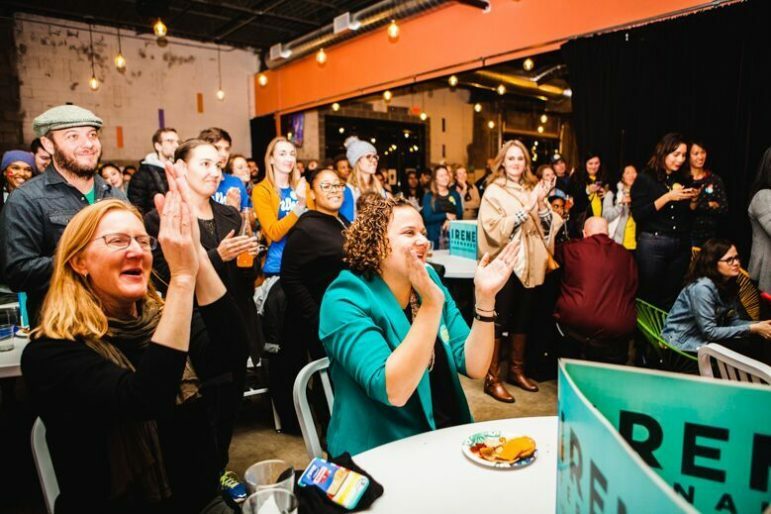 Conley delivered a victory speech to a crowd of volunteers and supporters at Du Nord Tuesday evening. Photo by Anna Rajdl. 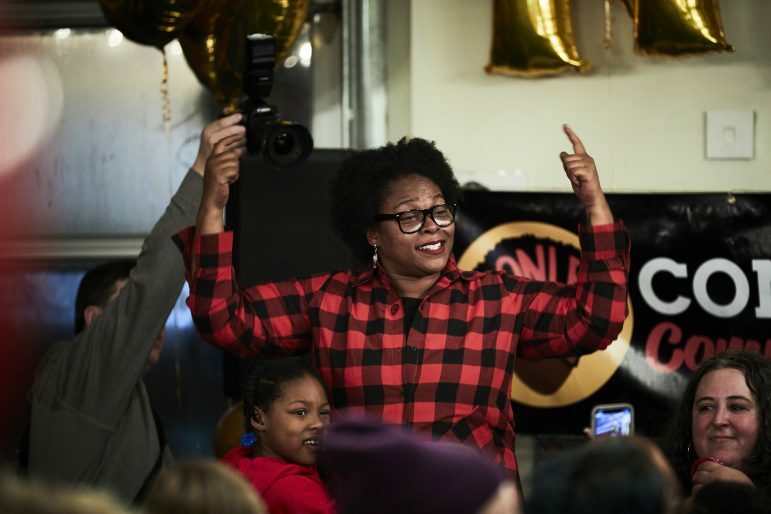 Hennepin County Commissioner candidate Angela Conley celebrates with supporters after a hard-fought election victory.